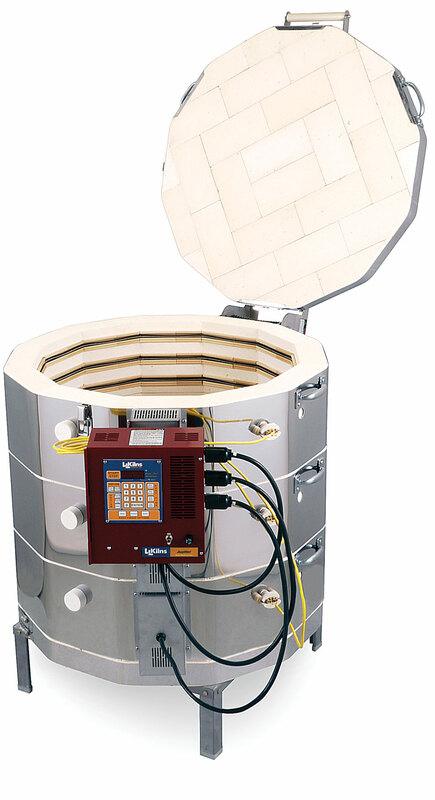 Find the best L&L Kiln Series for you. 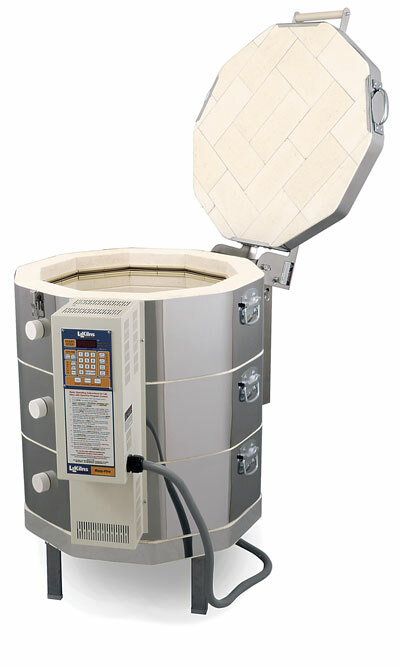 Click on a Kiln Series to see the models and sizes. 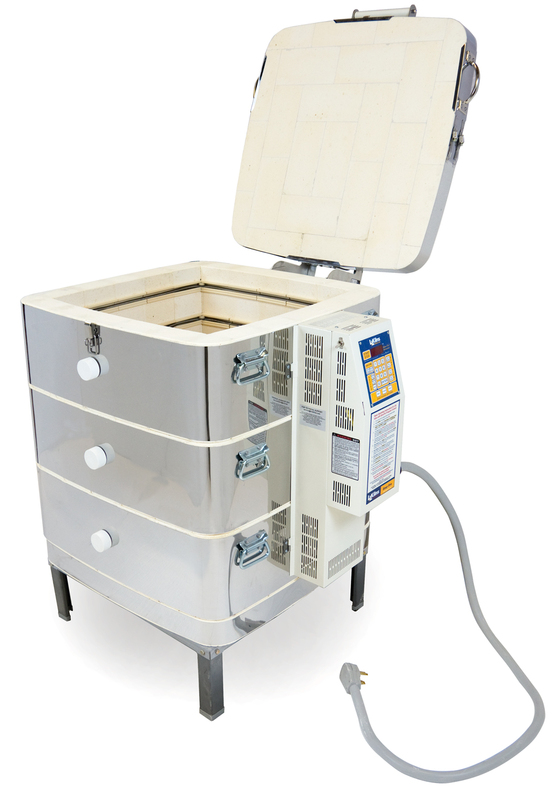 Most top-loading electric kilns are 18" or 27" high. 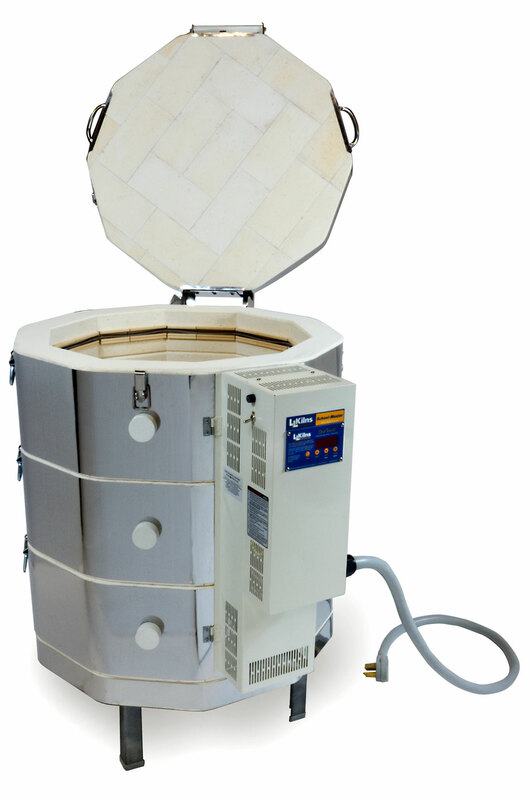 L&L also makes kilns up to 45" high inside (which can give you economical capacity). 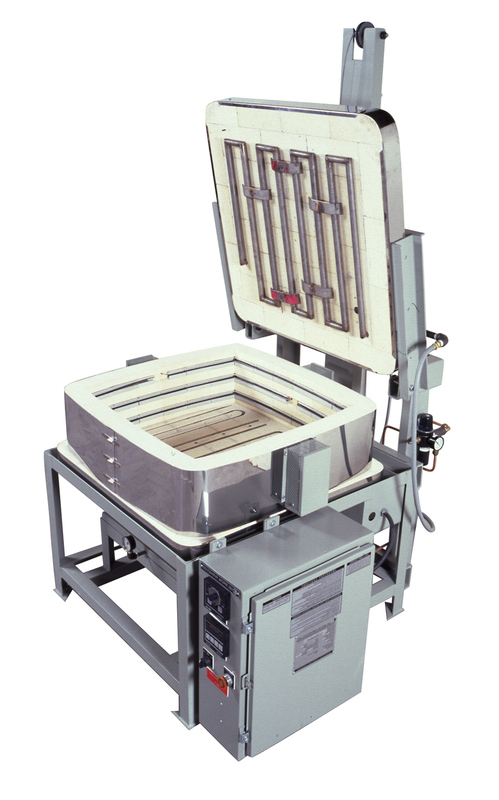 We make many different polygonal crossections, from 11" to 29" and larger, as well as square and rectangular sectional kilns. 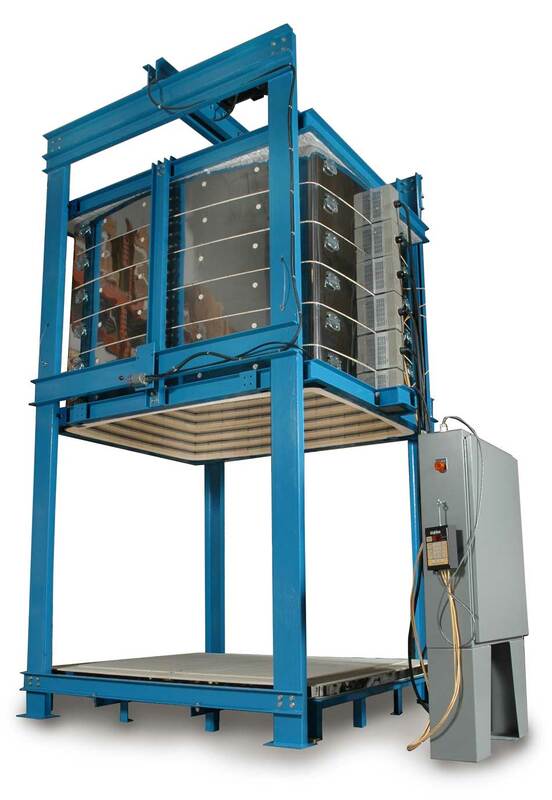 Top-loading electric kilns are either sectional or one-piece construction, while front-loading kilns are usually one-piece construction. 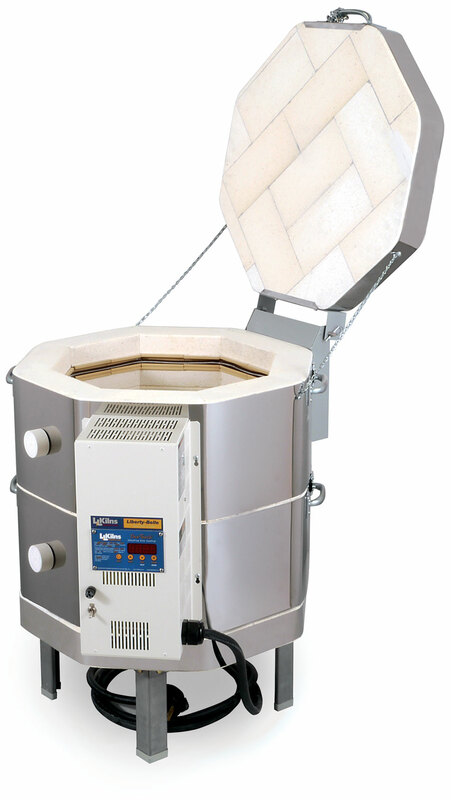 Top loading kilns are the most common kilns in use in the United States, although front-loading kilns are traditionally more common in many other countries. 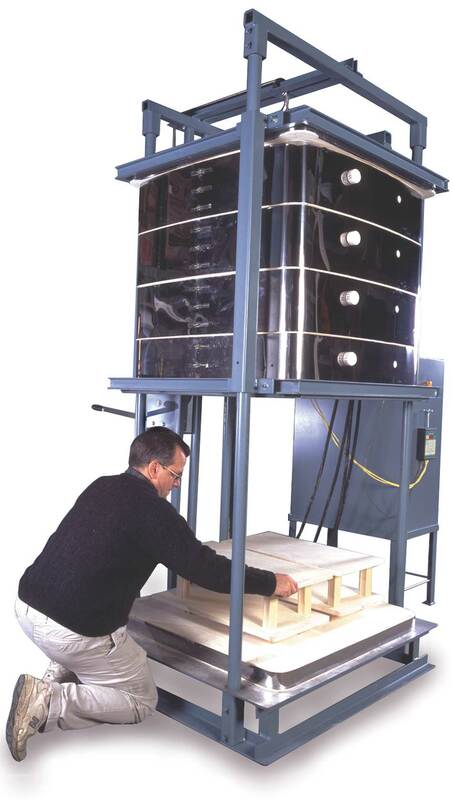 Electric kilns range in maximum temperature; usually up to Cone 10 (and we make a few models that are designed to fire above Cone 10). 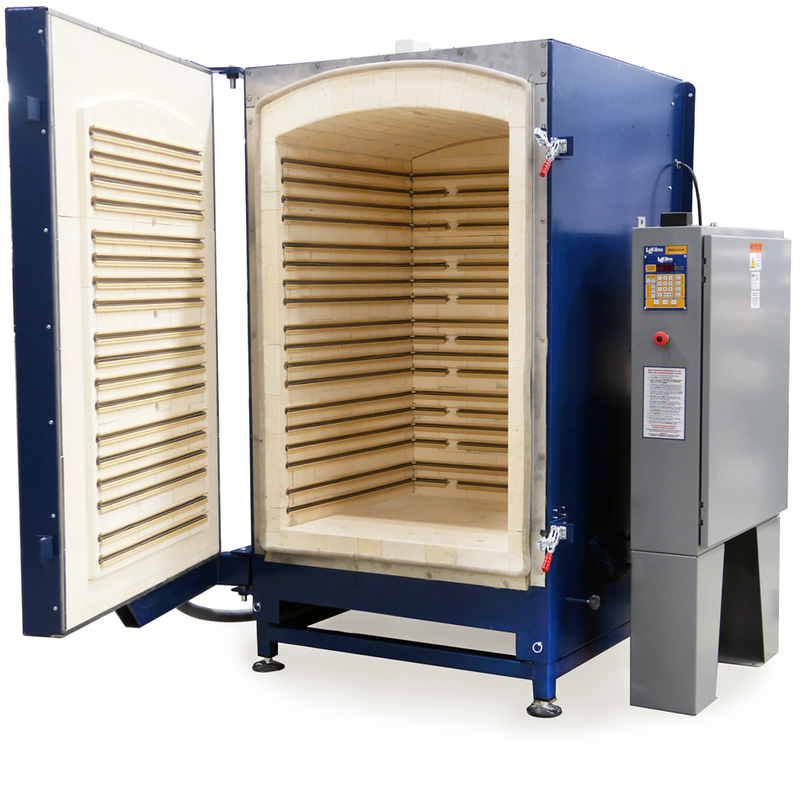 Top-loading kilns typically come with either 2-1/2" or 3" thick insulation, while all L&L front-loading kilns have multi-layered insulation. 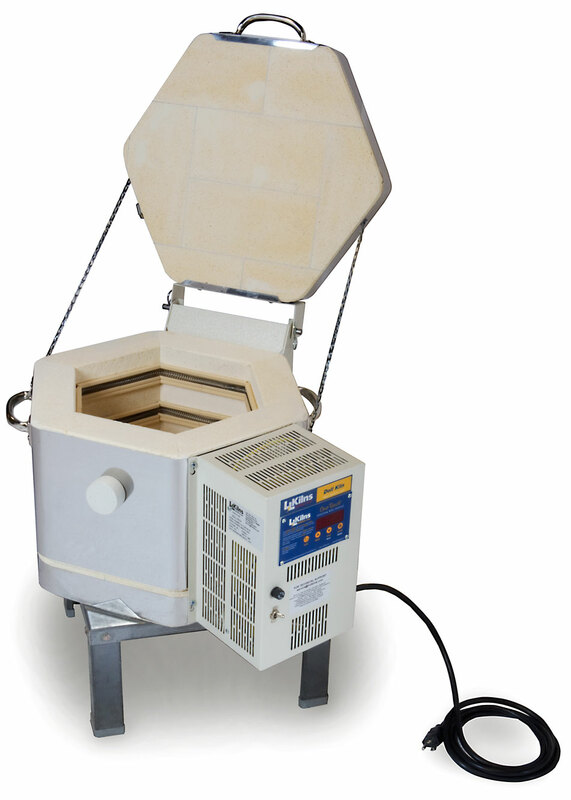 Most kilns are available in either 240 or 208 volts, and in either single or three phase. Automate the firing process for great flexibility and a new level of control, or manually control for a more hands-on feel. By far our most popular model - and for good reason! 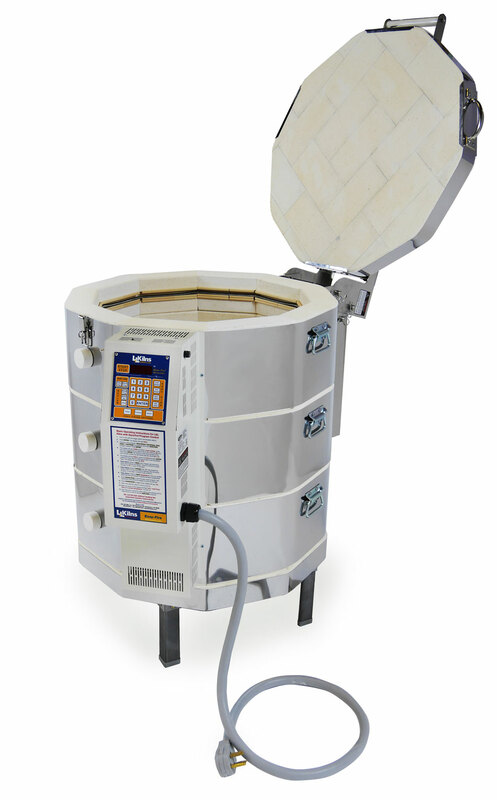 Easy-Fire Automatic Kiln with with Multi-Program Zoned DynaTrol mounted in an easy-open piggy-back control panel, 3" brick. Cone 10 for all voltages. 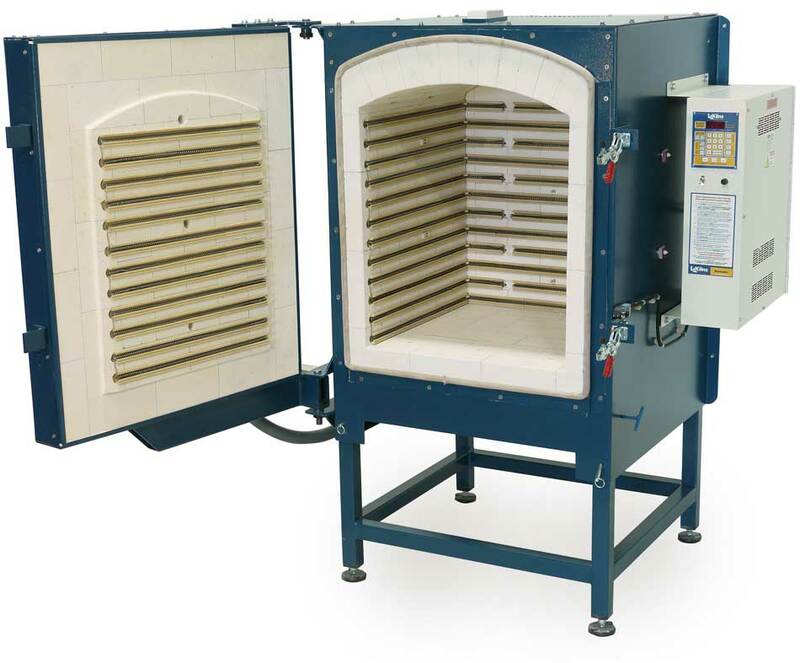 School-Master kilns are designed specifically for K-12 schools with a Five-Year Warranty. One-touch simple control. Sectional. Graded elements. Cone 6 but with plenty of power for long life. 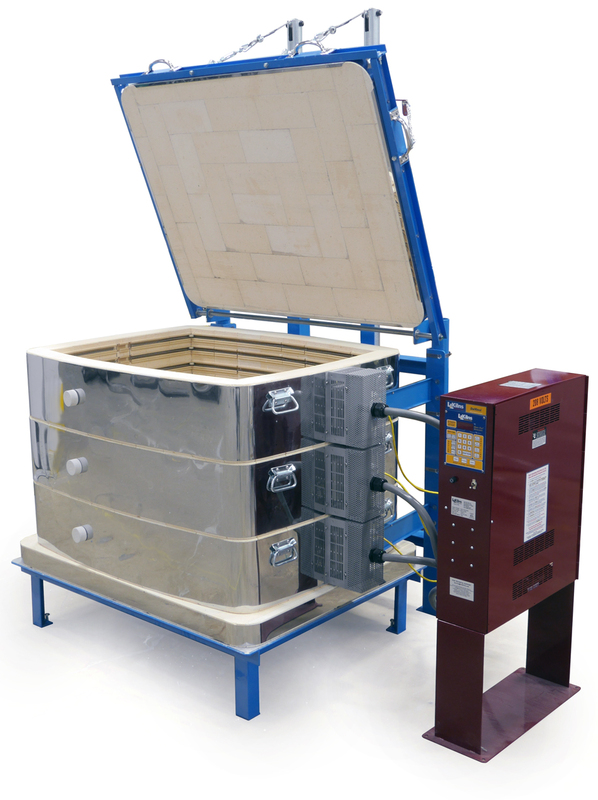 Affordable Square Top Loading Kilns. Multi-Zone Control. Sectional. Easy Maintenance. 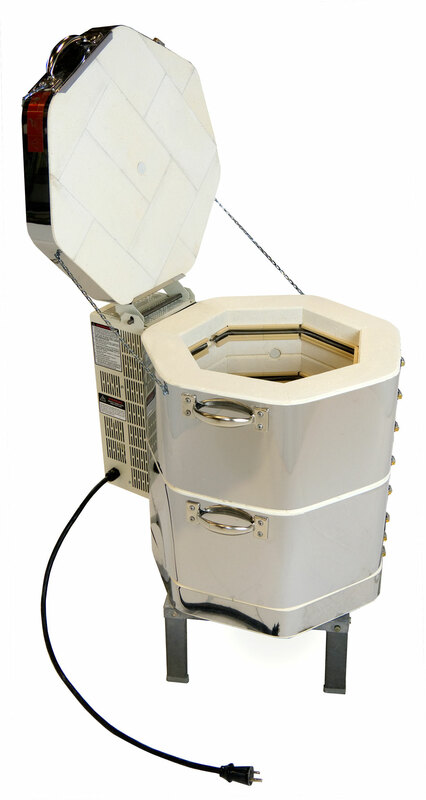 Sizes From 5 to 11.7 Cubic Feet. Most models and voltages are Cone 10. 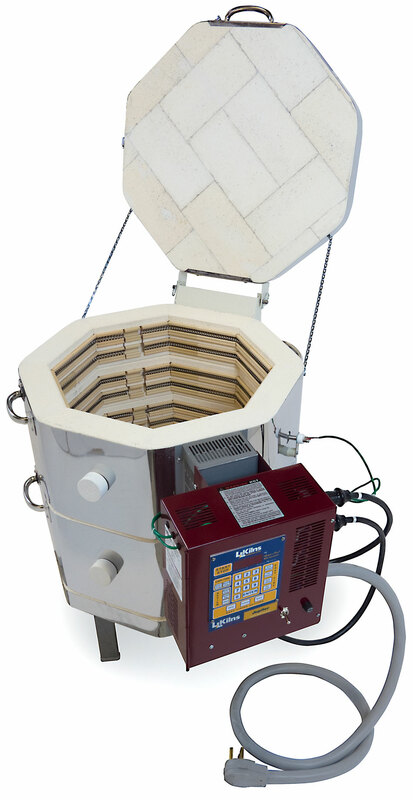 The ideally sized Fuego Craft Kiln reaches Cone 10 with power to spare on a 240 volt 20 amp circuit. 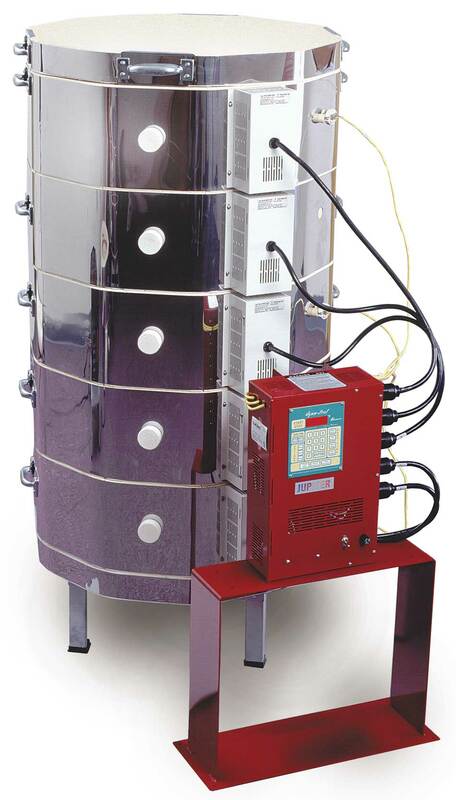 Includes simple One-Touch™ program control. 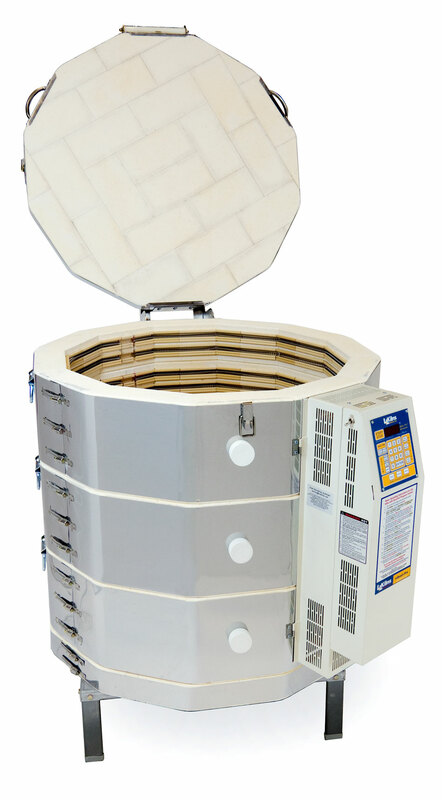 100 cubic feet Bell Lift Kilns for Industry. Cone 10.